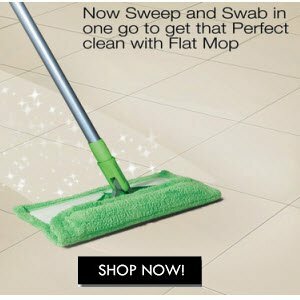 Amazon is selling Scotch-Brite Flat Mop and Refill Combo for Rs. 649 only. No need to lug bucket- just sprinkle some water with a sprayer or a tumbler and clean. Microfiber cloth picks up and traps even smallest of dust particles, hair unlike a regular cotton mop etc to give vacuum like clean!